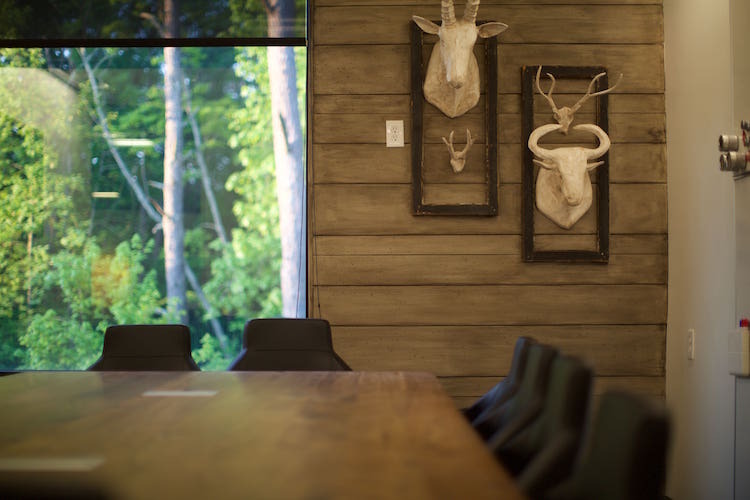 Enjoy a change of scenery in the Retreat. 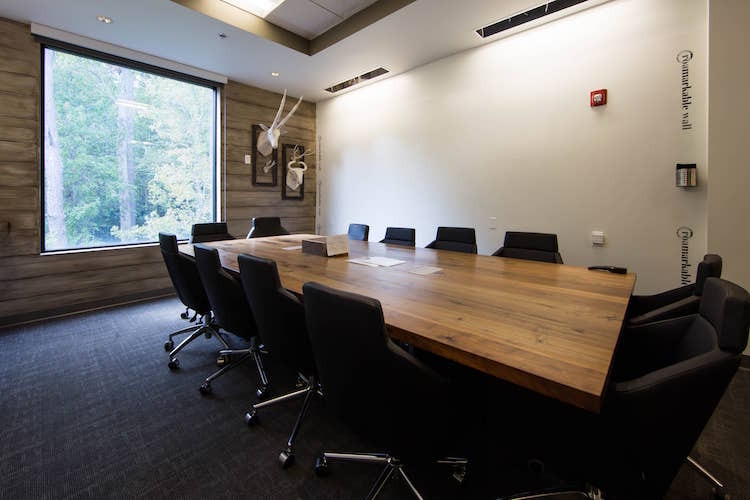 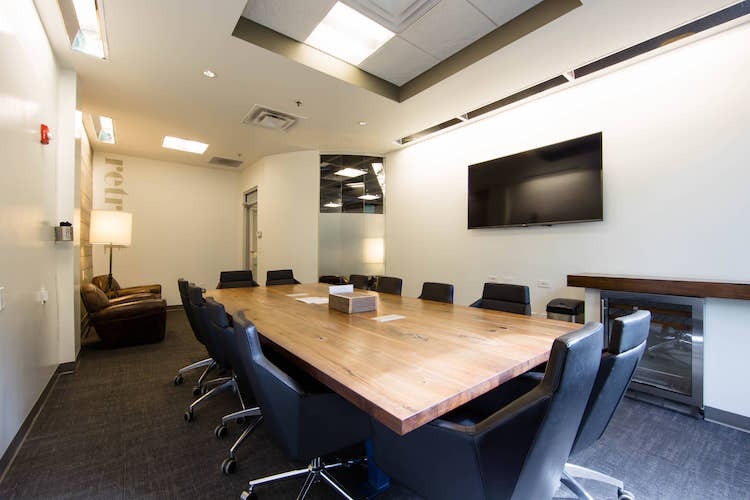 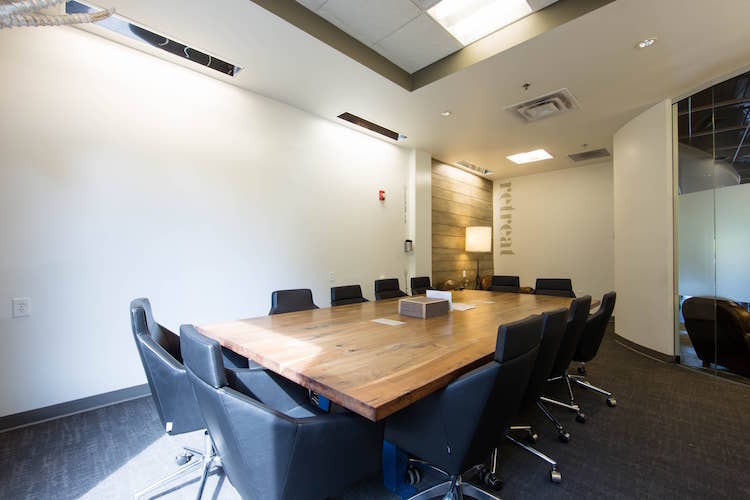 This spacious boardroom offers a wooded view and outdoor-inspired workspace conducive for productivity and collaboration. 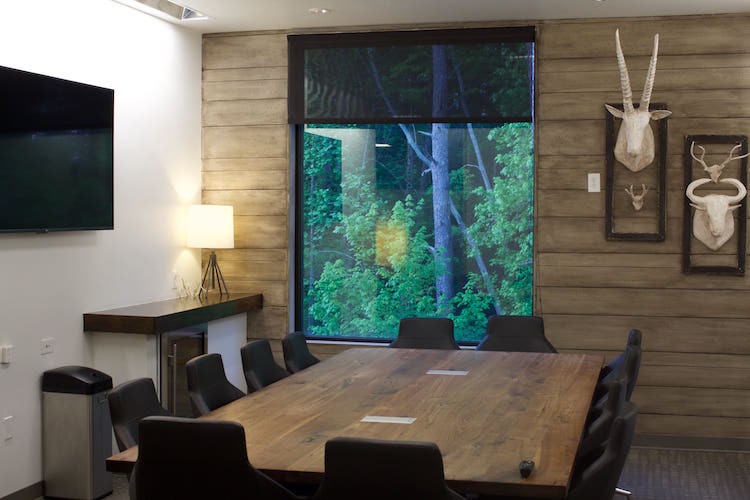 Wood walls, mounted animal decor and beautiful views are sure to impress your team and clients. 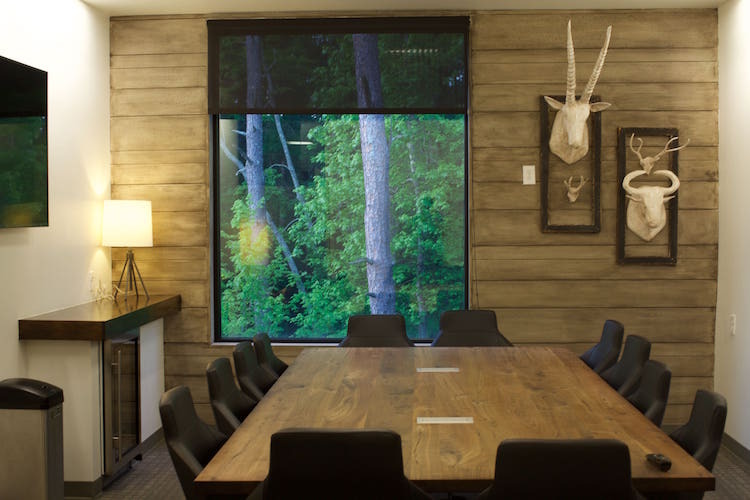 Just consider this your in-town company retreat.